After growing up around Ohio corn fields and playing competitive baseball for nearly 18 years, Bryan was introduced to rock climbing by a friend while attending Ohio State University. After some top roping and a few road trips to the Red River Gorge, he was addicted to the adventure, the physical challenge and the climbing life style. Since then his passion for the mountains has taken him all over the Rockies, Sierras, Cascades, and Wrangell-St Elias mountain ranges. You can find him trad climbing hand cracks in Indian Creek, Aid climbing big walls in Yosemite Valley, ice climbing frozen water anywhere he can find it, or climbing and skiing some of the tallest peaks in Alaska. On his rest days he can be found high above the mountains in his paraglider looking for the next climb. Currently, he is inspired by alpine climbs in the big mountains where he can utilize all of his climbing skills and fit some skiing in on the way down. 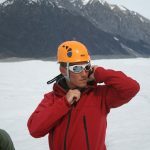 With his immense wealth of technical knowledge, be sure to pick his brain about ski anchors or snow pack analysis (it’s all in the details) – two of his favorite topics! Bryan’s two favorite trips to guide in the Wrangells are the Intro to Mountaineering Course, and the Mt. 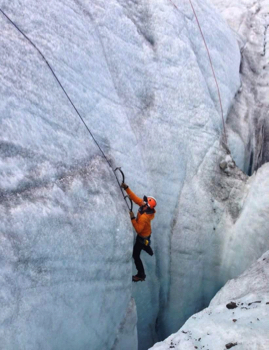 Bona Expedition, due to his passion for teaching climbing and love of the big Alaska Mountains. These days Bryan splits his time between McCarthy, Alaska and Salt Lake City, Utah where he works as a mountain guide/professional ski bum and business owner. Besides all things climbing, skiing, and paragliding, Bryan enjoys a cold beer, and anything involving the Cleveland Browns! – Best (and most miserable) Wrangell Memory: An emergency bivy due to stormy weather at 14,500 ft on Mt. 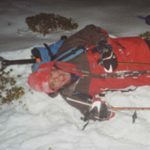 Churchill for 48+ hours with only 1.5 liters of water to ration between 3 climbers. We summited.